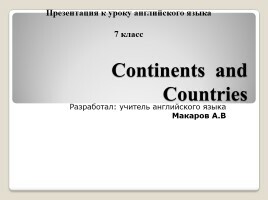 Let’s enjoy the lesson together! 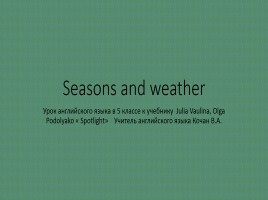 How do you feel at the beginning of the lesson? 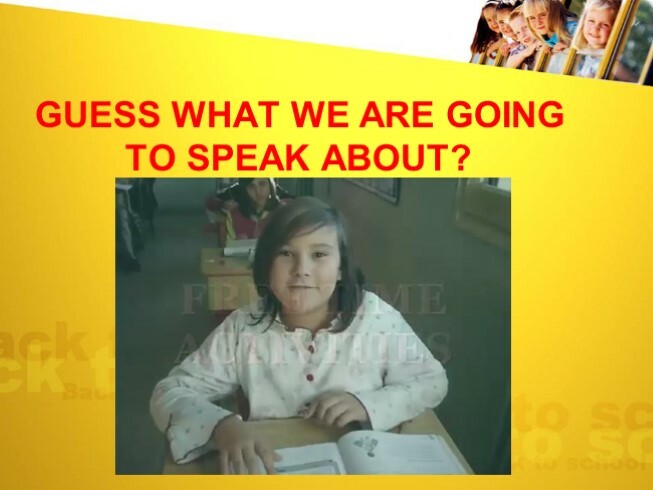 GUESS WHAT WE ARE GOING TO SPEAK ABOUT? 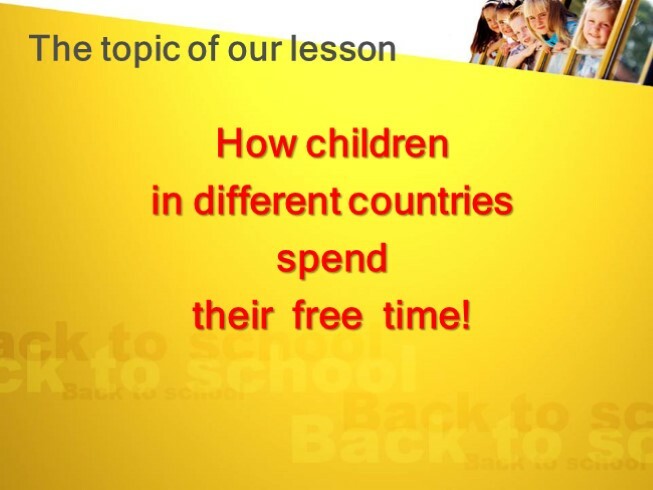 How children in different countries spend their free time! 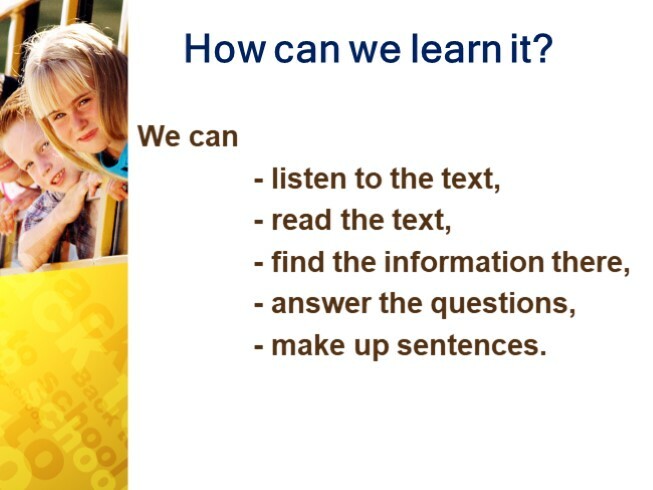 We can - listen to the text, - read the text, - find the information there, - answer the questions, - make up sentences. 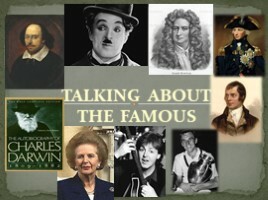 What is free time for you? What do you usually do in your free time? 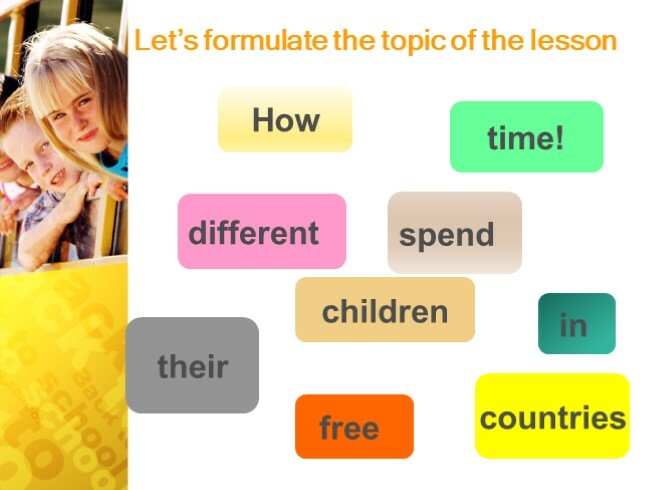 What do you think about the way you spend your free time? What does he/she like doing? How does he/she find his/her activity? 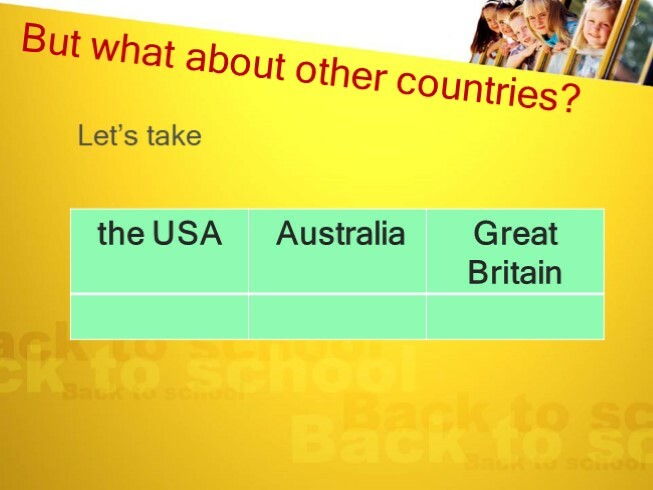 But what about other countries? 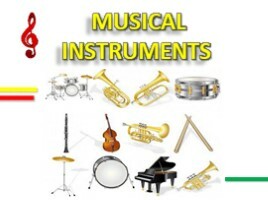 What hobbies do children enjoy? What sports do children go in for? What do they do to earn money? What clubs do they go mostly? 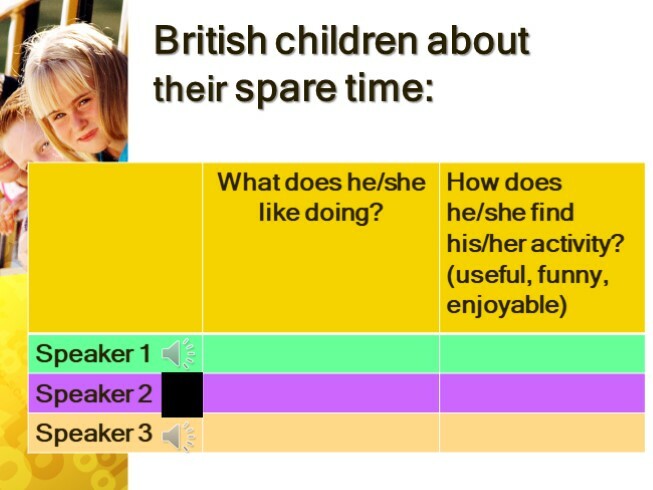 Listen to your classmates and fill in the gaps: After school British children like ……….. . American children enjoy ………….. as well. 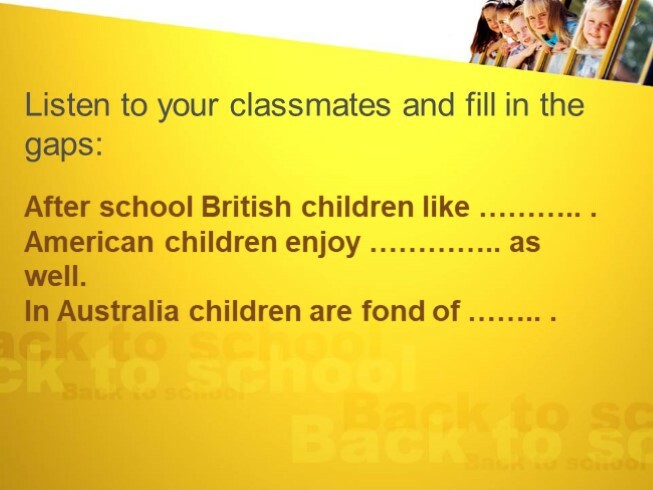 In Australia children are fond of …….. . 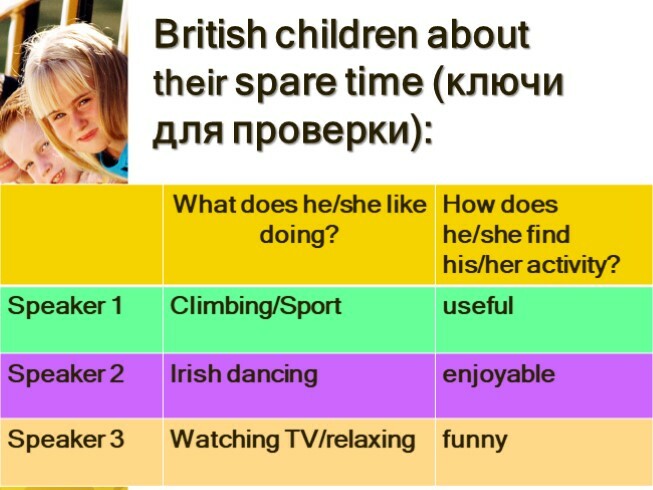 Listen to your classmates and fill in the gaps (для проверки): After school British children like spending time at home, collecting, doing sports. 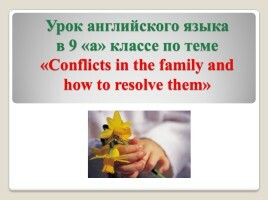 American children enjoy playing games, doing sports, visiting different clubs as well. 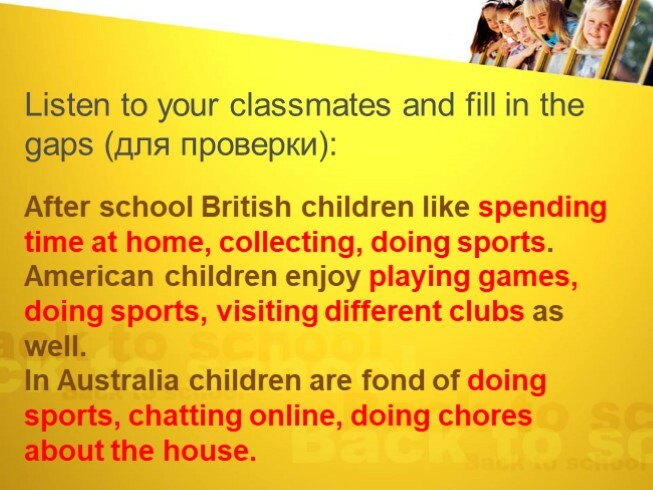 In Australia children are fond of doing sports, chatting online, doing chores about the house. 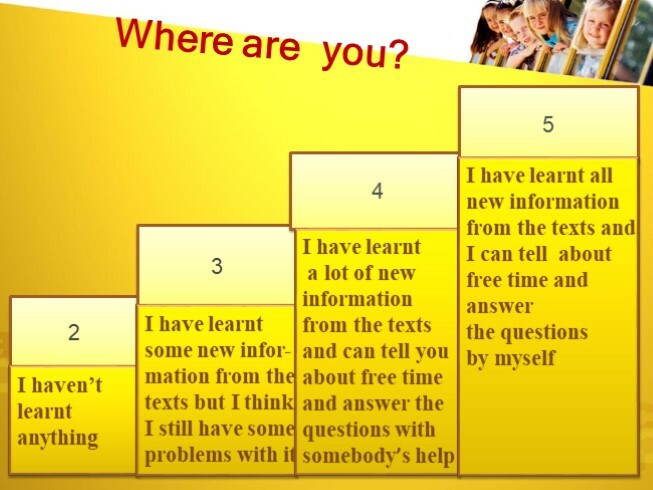 I have learnt some new infor- mation from the texts but I think I still have some problems with it.